Not interested in the traditional island tours? Well there are plenty of other ways to see Barbados - take a safari, go on an underwater expedition, or hike across the island! 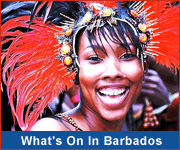 in fact Barbados is filled with tons of adventurous activities. See our top suggestions below. I'm sure you will find something exciting to do! Join Atlantis Submarines on an unforgettable undersea expedition! Explore the reefs and wreck by day or experience the awe-inspiring night dive. Come get dirty with ShívS on their “Gone Crabbing” adventure. Catch some “Swampies” and join us for dinner to tantalize those taste buds with curry crab or Cray Fish. Enjoy exciting snorkel and swim adventures with friendly sea turtles on Small Cats Cruises! 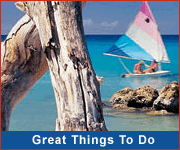 Small Cats specializes in smaller, more personalized cruises with the emphasis on intimacy. Experience the thrill of swimming with friendly sea turtles and snorkeling over shipwrecks! Join one of El Tigre Cruises daily cruises or create your own personal sailing and snorkeling adventure!